Love this perfume. Smells great. 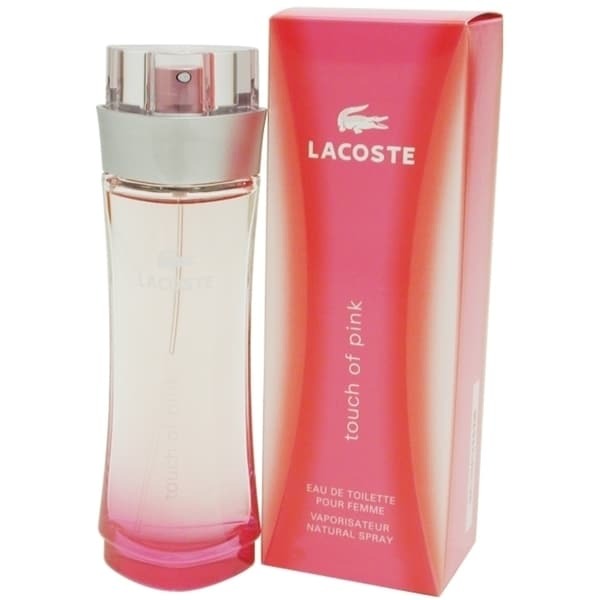 Lacoste introduced Touch of Pink in 2004, a fragrance for the dynamic woman. This scent is perfect for the woman who is spontaneous and full of energy and life. A fresh, modern, zesty aroma, Touch of Pink is a fruitful blend of coriander leaves, blood orange, cardamom, jasmine, violet leaves, carrot seed, sandalwood, vanilla, and musk. I bought this perfume for my sister. It smells awesome. It not too overbearing as long as it’s used in moderation. If too much is used, it can be a bit strong.